What is the best cell phone plan for families? The best family plan will afford you the most features, data, minutes, and affordable mobile devices for the lowest monthly rate. And the tools in this section will help you find the perfect family plan. Once you find your family plan, you'll be able to pair it with a phone special, including a wide selection of two free cell phone offers. If you want to cover several phones for several people under one plan, you can choose a wireless family plan for your cell phone service. This is a great choice for anyone who needs to cover the costs of multiple phones, or for any group of people who want to lessen some of the cost of buying individual phones. Family plans are usually much cheaper than buying individual plans for multiple people. They also allow you to share minutes and data, which can be a great way to save money, especially if cell phone use is uneven among the people using the plan. 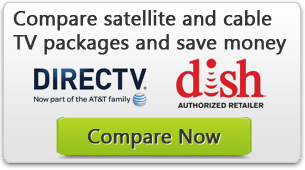 Check out our comparison tool below to compare cell phone family plans to find the plan that saves you the most. What is the advantage of a family plan? Cell phone service providers want to encourage you to use their service for your entire family. As a result, you will find that a wireless family plan costs less than it would cost to buy several individual plans. This makes it more cost-effective for you. Cell phone services also allow you to share minutes on a family plan. Family plan shared minutes are a great way to save money, especially if minute use is uneven between the people in your household. Consider the following: imagine that Claire likes to talk on the phone a lot, but Bob only uses his cell phone sometimes, while Jane uses her phone more than Bob but less than Claire. If they want to use AT&T for service, they could either buy 3 individual plans, or a family plan for 3. The cheapest individual wireless plan with AT&T costs $60/month for unlimited data and unlimited talk and text. This is a total sum of $180/month. Meanwhile, a family plan for 3 costs $145/month for 10 GB of shared data and unlimited talk and text. So, with a family plan you can get more minutes while spending less money. You are also less likely to have one person who doesn’t have enough minutes and one person who has too many. Generally, cell phone service providers will also give you discounts on new phones when you buy a phone alongside your family plan. Family plans usually involve shared minutes and shared data. Data refers to texting, emailing, picture messages, Internet access etc. on your cell phone. You can get plans with unlimited minutes and data, unlimited minutes and limited data, or limited minutes and data. You can also get data only plans, but these are usually for devices like tablets rather than phones. Like minute sharing, data sharing can solve the problem of uneven data use among family members. So if Jane does a lot of texting, but Claire rarely texts, and Bob texts sometimes, then a shared data plan will be a good deal for them. Where can you get a wireless family plan? T-Mobile: Plans for 2 start at $120/month. Is a family plan cheaper than an individual plan? Wireless family plans are usually more cost-effective when you need to have a lot of people on one plan. If you are looking for a plan for only 2 people, it may not make as much sense for you to get a wireless family plan. Compare cell phone family plan costs with wireless individual plan costs before making a decision. Of course, a family plan can benefit just two people if it costs less than two individual plans. As always, review your costs, call time, and data usage carefully when shopping for a wireless plan to ensure you get the best deal. Or you can use our calculator. You may also have different data needs than other people in your family. In that case, it may not make sense to get a single plan for every party. There are also limits on certain plans. This means that there may be a maximum number of phone lines that a particular plan can cover. As a result, you may not be able to accommodate everyone in your family on a plan that is otherwise perfect.